A. Krista Sykes holds a Ph.D. in Architectural Theory and History from Harvard University. She is the author of Constructing a New Agenda for Architecture and was Managing Editor of the Journal of the Society of Architectural Historians. 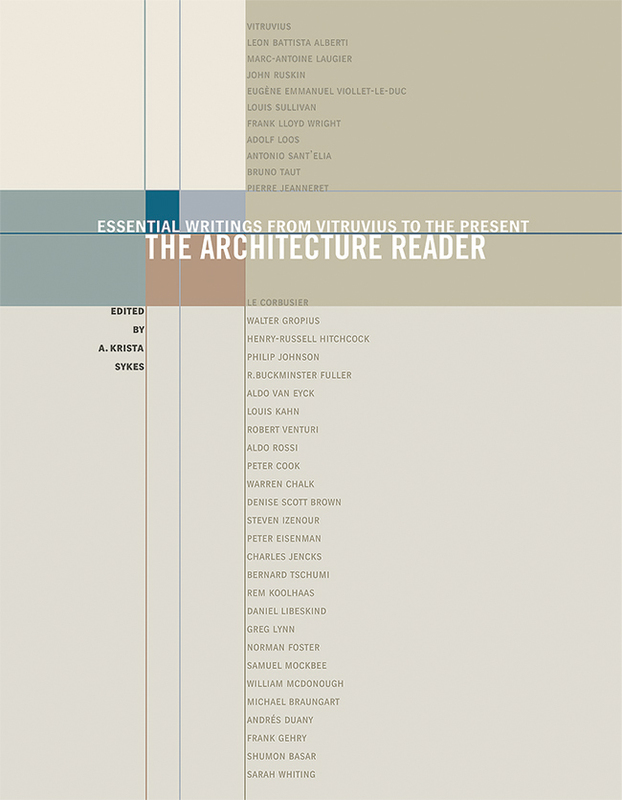 The Architecture Reader brings together for the first time 35 key texts written by architects of international esteem. Encompassing two thousand years of building history, these writings engage persistent concerns in architecture and design, including the role of the architect, and the relationships between architecture, nature, art and science. Intended to be at once accessible and thought-provoking, this volume is ideal for a general audience and beginning students of architecture. The carefully chosen texts provide a taste of the multiplicity that characterizes historical and contemporary views of architecture. Krista Sykes organizes the selections chronologically and introduces each with a helpful commentary, contextualizing the author and the salient issues covered in the piece. The excerpts appear in a variety of formats, including interviews, manifestoes, lectures and treatises, and are representative of the varied—sometimes conflicting—approaches to building and design. In combination, they provide a fascinating overview of significant concepts within the field of architecture. The Architecture Reader will be a valuable companion for introductory surveys of architectural history, novice students of architecture, and anyone interested in formative ideas underlying contemporary conceptions of architecture.